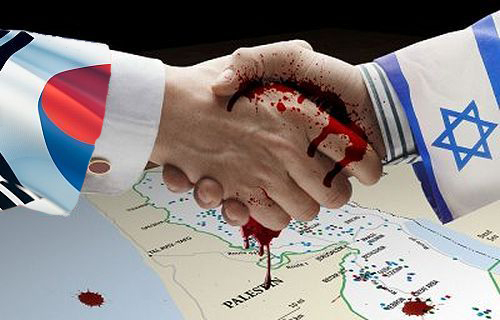 A free trade agreement (FTA) between Israel and South Korea has been in pipelines for a number of years and a final deal was expected to be agreed upon by April of last year. While no formal agreement has yet been reached, it is hard to follow progress given that these deals are rarely brokered with public consultation. While the Ministry of Foreign Affairs lists the agreement as still being under consideration, a feasibility study was launched in August of 2009 and completed in August of 2010. Another important aspect of South Korea-Israel relations is the influence of the so-called “creative economy” that is currently the buzz word in the Blue House. The term comes from Israeli economic policy in which investment is focused on small startup companies which in turn is said to lead to overall economic growth. It came to popularity in Korea by former Yonsei University professor Yoon Jong-lok through his translation of the book ‘Start-Up Nation’. After gaining the ear of the Korean president, Yoon has now been appointed as the second vice minister of the Ministry of Future Planning and Science which has set up the Office of Creative Economy Planning. Following suit, the Ministry of Security and Public Administration established the Office of Creative Government Strategies, and it appears that other ministries are eager to adopt the new trend. The fact that the Israeli economy relies in part on U.S. aid, which in turn goes into maintaining the military occupation of Palestinian land, seems not to have been a major consideration with the new buzz word floating around. The authors of ‘Start-up Nation’ explain how Israeli struggled against the odds to achieve its economic miracle despite being “surrounded by enemies, in a constant state of war since its founding, with no natural resources”. Interestingly, this perpetual “state of war” has been used to imprison, kill and maim scores of Palestinians since 1948 and the lack of natural resources is in part made up for by illegally diverting water resources from the occupied Palestinian territories. Presumably these tidbits didn’t make it into the text. One company that is caught up the hype is Korea’s largest chaebol or conglomerate, Samsung. The company is increasing its activity in Israel and earlier this month set up a benchmarking team to investigate the Israeli model in which some 500 ventures are launched each year by young Israelis. In February of this year the South Korean company launched a 100 million dollar venture capital fund to invest in early stage high tech start-ups in the U.S. and Israel. An innovation center is being established under the Samsung Semiconductor’s R&D center in Ramat Gan which already employs 200 workers. Apart from investing in startup companies, the center will also invest in Israeli academia and local venture capital funds investing in Israeli startups. Samsung also operates another R&D center in Yakum which it acquired in 2007. The latest United Nations Office for the Coordination of Humanitarian Affairs occupied Palestinian territory (OCHAOPT) report for the week ending April 22 offered the following figures for 2013 thus far: 9 fatalities at the hands of the IDF, 2,032 Palestinians injured by the IDF, 119 incidents resulting in Palestinian casualties or property damage (20 incidents relating in Israeli casualties or property damage), 170 Palestinian structures (including homes) demolished with 327 people displaced. For the week ending April 26, the International Middle East Media Center is reporting that at least 98 military invasions were made by the IDF into Palestinian communities in the occupied West Bank and Gaza. At least 52 Palestinians including 6 children were arrested. In addition, claiming to be in response to a rocket attack from Gaza on civilian communities in Southern Israel, the IDF bombed three sites in Gaza, two belonging to the military wing of the Democratic Front for the Liberation of Palestine and another belonging to the military wing of Islamic Jihad. No injuries were reported. 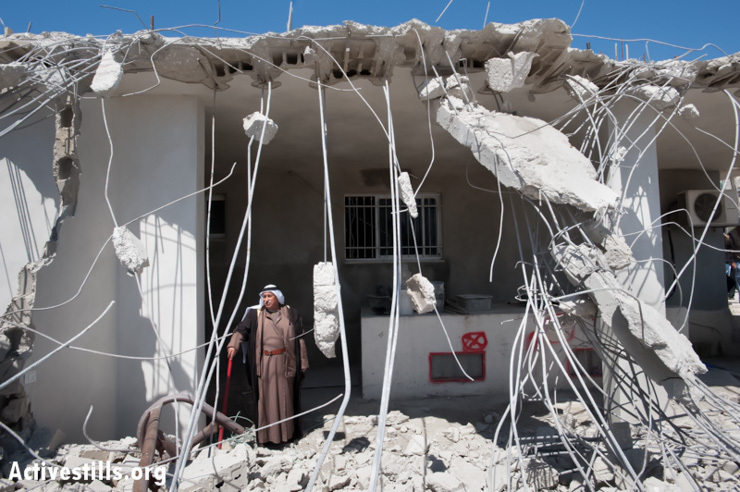 Home demolition in Al Tur, occupied East Jerusalem, 24 April 2013. From ActiveStills.org.